Michael Gannon started the year in India, but is reaching African soil again for sharing some Yoga love with his JoBurg peers! 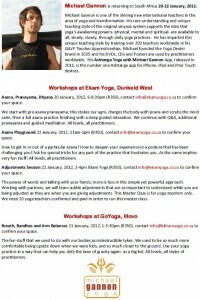 Weekend workshop and master classes at Jozi Yoga and Ekam Yoga. 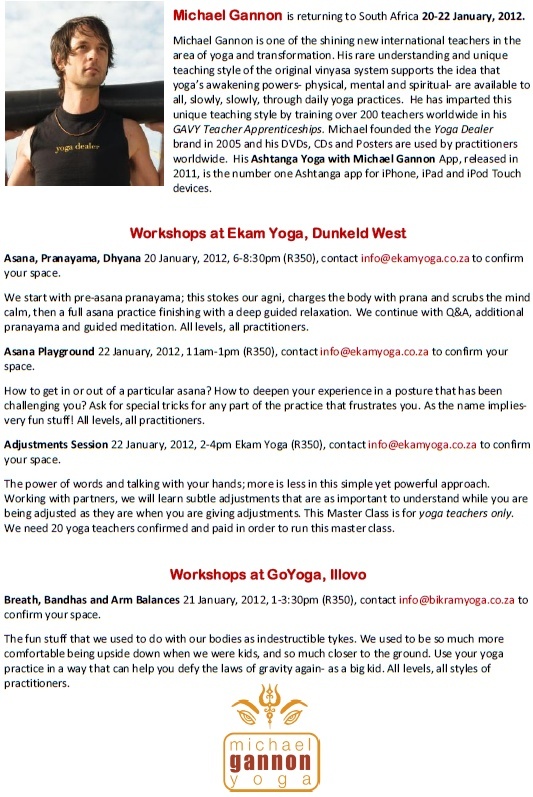 This Master Class at Ekam is for yoga teachers only.